A shadow follows Sophie. Watching. Waiting. Her instinct tells her that it's someone she knows. But who? The man she met Internet dating? The nurse caring for her ill mother? Or is her mother faking her illness? The only thing she knows is that she can't trust anyone. Sophie must delve into a dark history to reveal her stalker. But there are some stories that should never be told. There isn't much fun in the sun when a billionaire real estate tycoon is found murdered on the Tilt-a-Whirl at a seedy seaside amusement park in the otherwise quiet summer tourist town of Sea Haven. John Ceepak, a former MP just back from Iraq, has just joined the Sea Haven police department. The job offer came from an old Army buddy who hoped to give Ceepak at least a summer's worth of rest and relaxation to help him forget the horrors of war. Instead, Ceepak will head up the murder investigation. Andy Carter was happy. He had a solid job. He ran 5Ks for charity. He was living a nice, safe Midwestern existence. And then his wife left him for a handsome paramedic down the street. We're All Damaged begins after Andy has lost his job, ruined his best friend's wedding, and moved to New York City, where he lives in a tiny apartment with an angry cat named Jeter that isn't technically his. But before long he needs to go back to Omaha to say good-bye to his dying grandfather. Kate Bishop is in a world of trouble. 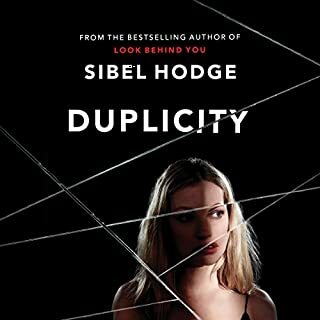 In the wake of several inexplicable and brutal murders, Kate is thrust into a police inquiry that reveals shocking family secrets. 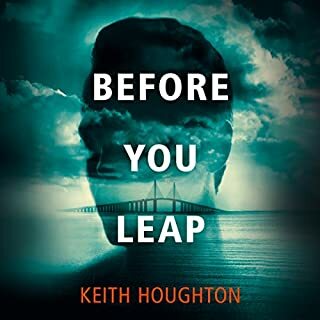 Suddenly exposed to a shadowy network of global evil, her life takes a dramatic turn with the arrival of Jack Raines, an author with a mysterious past who says he has the answers to her questions. What's more, he suggests that Kate herself might be the solution. 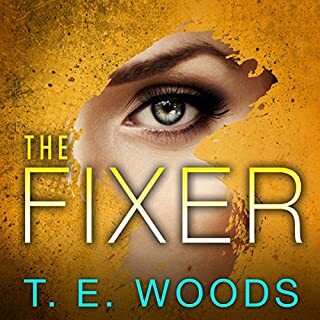 But hot on their heels are a force of superpredators, vicious and bloodthirsty killers who will stop at nothing until Kate and Jack are eliminated. Like Jack, they've realized just how special Kate is, and now she's marked for death. 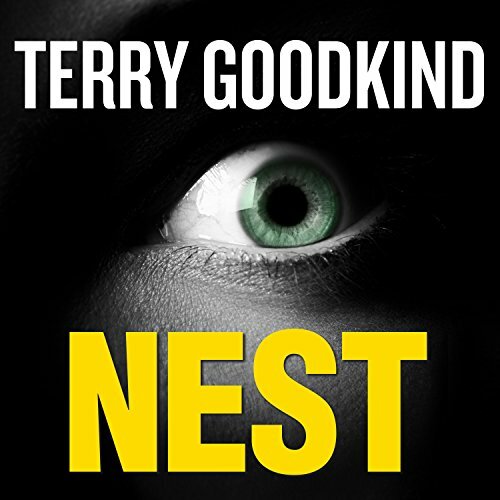 An explosive mix of action and suspense, Nest is a landmark new novel from worldwide best-selling author Terry Goodkind and a complete reinvention of the paranormal thriller. Travel with Goodkind on a dangerous journey to the back alleys of the darknet, to the darkest corners of our minds, and to the very origins of what it is to be human, a place few have ventured to and fewer still have survived. This was the worst book I've ever read to the end. The story was nonsense, repetitive, with. needless technical passages (you don't have to describe how to use the internet, we know). The narration was also painful. She would use the same voice for all the "bad guy" characters, obviously had no idea what some of the accents were supposed to sound like, and pronounced some words incorrectly. I really wanted to like this book, as I've read all Goodkind's others, but it was really terrible. Would you try another book from Terry Goodkind and/or Elisabeth Rodgers? 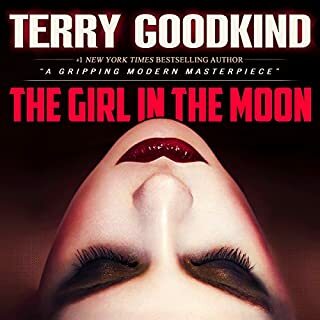 Since Terry Goodkind typically writes in a different genre, I'd probably try out one of his other books since I've heard they might be okay, and yes Elisabeth Rodgers did a fine job as a narrator, an excellent job in fact, I just can't stand how this book was written. Has Nest turned you off from other books in this genre? No, I've read/listened to other books in this genre that are quite interesting. Well, there are like 3 scenes in the book, all of which are 2-4 hour dialogues between two characters explaining how the world is a terrible place and becoming more infested with evil and bad guys...except studies show that crime is at an all time low unless you are speaking about very specific areas of the world. Good grief. If you could play editor, what scene or scenes would you have cut from Nest? This book is just too black and white for my taste. Sometimes black and white works for sci-fi or fantasy, but when you are talking about the present day, it's just hard to swallow. He writes as if everyone hates the police, crime is on the rise, and you are either evil or not. Also, apparently you can't explain to the police that some guy was trying to murder you so in self defense you attacked and they died. Nope, they wouldn't understand that at all. You'd get caught up too long in the system, more people are coming after you. 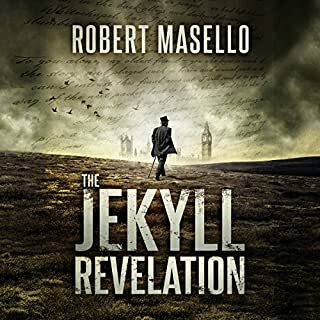 The majority of the book is two characters at any given time discussing the world becoming more infested with evil. Hardly anything happens at any given moment. This book just felt like Terry Goodkind ranting about how the world is falling apart, and it definitely did not resonate with me. I couldn't finish it. I just couldn't it was too poorly written for me deal with. Could someone get to the point please! What was most disappointing about Terry Goodkind’s story? Too much of the content is repeated over and over and seems like every conversation throughout this book goes round and round and round and round until finally after a forever someone finally gets to the point. Then that point is repeated at least three times before the conversation moves on. One of the rare times I will not finish listening to an audiobook. Although pretty dark subject, the book was a bit on the juvenile side. Such a bad book. The characters emotions are completely confused from scene to scene, and the ending is remarkably predictable. I have read most books by the author and I usually love the way he describes people, feelings and motivations. In this story I do not believe in the people. I am constantly thinking that the author did not care when writing the story. while its a good story line there is far too much repetitive coversation between the 2 main characters. Felt that all of the characters were overly wordy. Had potential but couldn't get past the long winded "speeches" that passed for conversation. What disappointed you about Nest? I lost count of the times I thought the heroine was too stupid to live. As other reviewers have said, it's incredibly repetitive, almost as if the author thinks he needs to explain EVERYTHING about EVERYTHING...like the book is being written for aliens who have never experienced things like "the internet" and "airport security" and "driving in traffic." No, but the author has certainly turned me off of any other books he writes in this genre. The first time Kate, the heroine, kicked the crap out of an attacker. I love strong women characters -- too bad the author made this one serve as The Exposition Queen. It seems like most of the time, her only purpose was to ask questions so the male lead could explain...and explain...and explain...and explain. What character would you cut from Nest? Not so much a character, but rather the incredibly gory descriptions of the murderers' crimes. If I wanted to listen to the audiobook version of "Saw" or "Hostel," I'd have picked something from that category. This book had so much potential, but it needed to be edited WAY down. 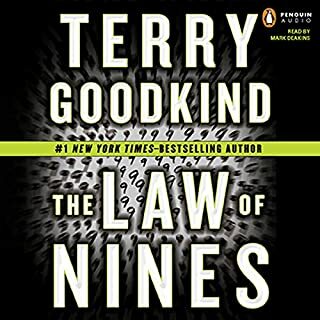 Terry Goodkind is a famous author, but even famous authors need to be reminded that they need to practice restraint. In need of some AGGRESSIVE editing!! Lord help me I'm suffering thru this so out of place 'history lesson'😑 The book starts off strong but goes left then back but then waah left Sighhhh I'm not giving up on the story becus it IS a good story It just needs to STAY ON TRACK!! What a fascinating story. Would love another to find out what happens. The speed of the narrative is breathtaking . I could not stop listening. Such believable characters. If only it was true. Every twist and turn pull you into the story more. So very gruesome but compelling. How wonderful such evil has a counterbalance. If you value a good nights sleep, please start listening as early as possible. Great read, highly recommended. if I had been reading it myself I would say I wouldn't have been able to put the book down. well read story, couldn't stop listening. devo that this book is over :( SO GOOD!!! !